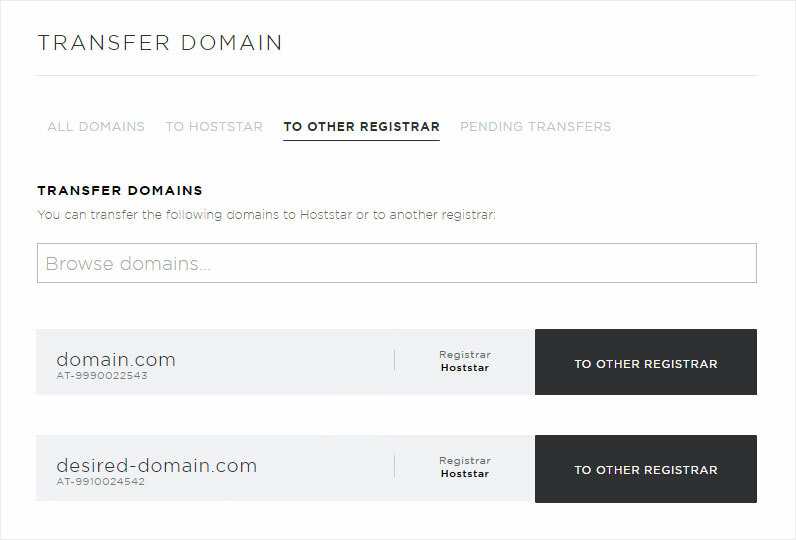 You can transfer domain names registered via Hoststar to a different registrar. 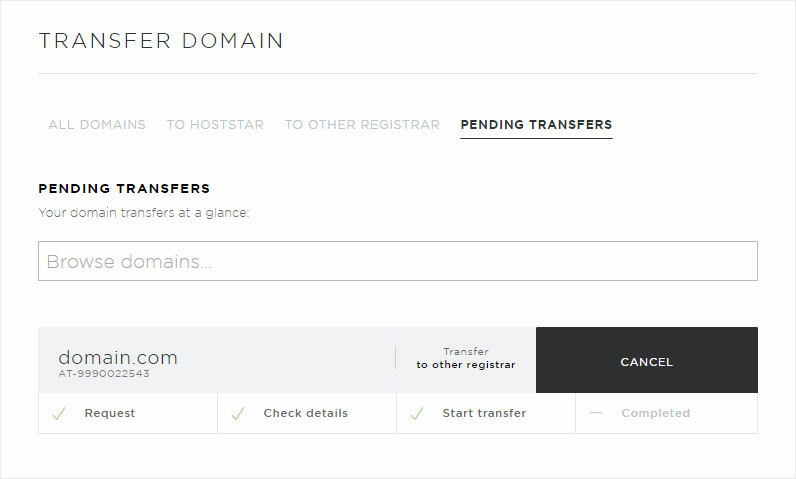 All outstanding invoices payable to Hoststar must be settled before you can transfer a domain to a new registrar. 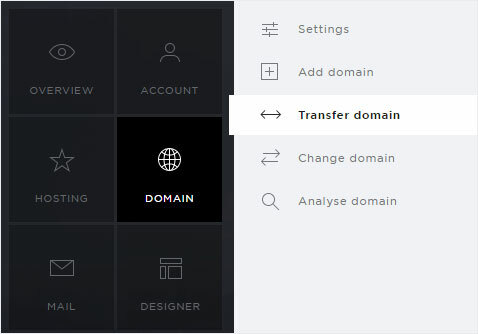 To switch to the new registrar, you need an auth-ID or «transfer code». 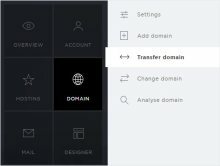 Click the «Domain» menu item and then «Transfer domain». Here you will find all your domains with the respective registrar (Hoststar or external). 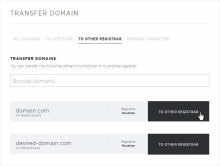 Click above on the button "To other Registrar" to list all domains, for which a transfer to an other registrar is possible. 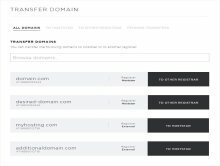 These are all domains registered by Hoststar. Click «To different registrar» for the desired domain. Follow the detailed instructions. We will send you an email with the necessary Auth-ID or «transfer code» that allows you to transfer the domain. 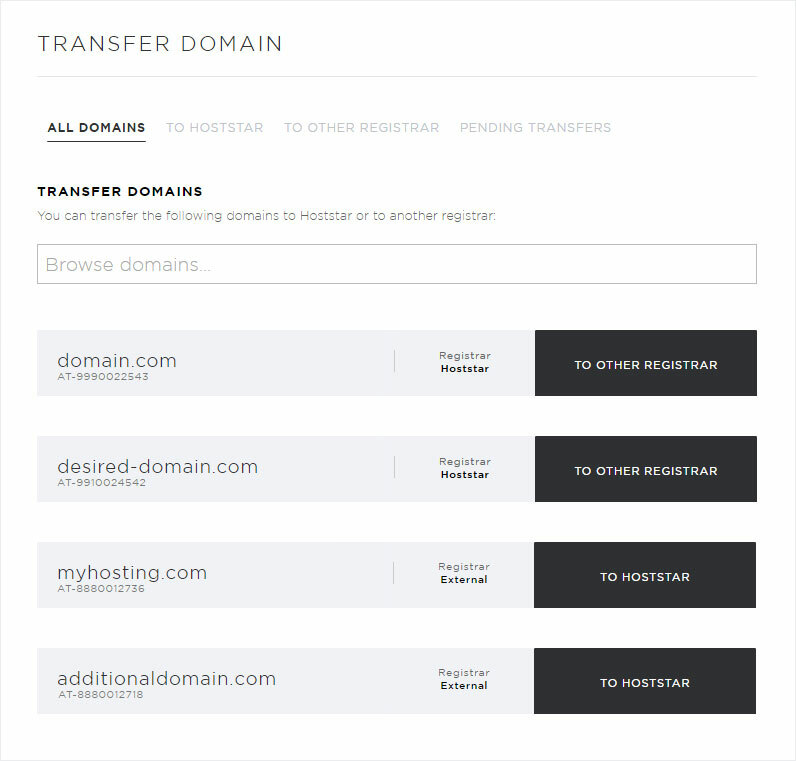 The Auth-ID allows you to begin the process of transferring the domain to your new registrar. 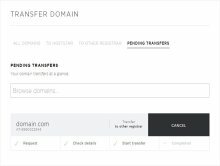 Please note that we give you a time window of 14 days to complete the transfer. 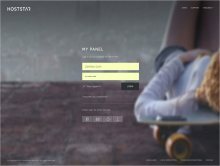 The cancellation then takes place automatically at Hoststar.